“Routine random tests conducted by the Iowa Department of Agriculture indicated higher than normal levels of aflatoxin in some samples of Hy-Vee dog food produced at a Kansas City plant operated by Pro-Pet, LLC,” the news release said. Aflatoxin is a mold and can be lethal to pets if consumed in significant quantities and even at small amounts over a long period of time. Currently, about two-thirds of dogs that show symptoms after eating the tainted food die. Pets which have consumed this product and exhibit symptoms of illness including sluggishness or lethargy combined with a reluctance to eat, vomiting, yellowish tint to the eyes or gums, or diarrhea should be seen immediately by a veterinarian. Early signs that a dog has been poisoned by aflatoxin include lethargy, loss of appetite and vomiting and, later, orange-colored urine and jaundice (a yellowing of the eyes, gums and nonpigmented skin that reflects substantial liver injury). Severely affected dogs produce a blood-tinged vomit and bloody or blackened stools. The recalled dog food carry three different “Best By” dates and were distributed to Hy-Vee stores in Iowa, Illinois, Missouri, Kansas, Nebraska, South Dakota, Minnesota and Wisconsin between October 26, 2012 and January 11, 2013. Besides aflatoxin, corn is a crap pet food ingredient. It just is, straight up. Unless it’s fresh corn taken right off the cob, don’t feed it to your pets. Worse, corn by-products such as corn gluten meal that are diverted to the pet food industry are typically the most inferior, and therefore the cheapest, grade of corn. It is quite possible that other brands manufactured by Pro-Pet in one of their three plants in Ohio, Kansas or Minnesota were also manufactured using aflatoxin contaminated corn. Pro-Pet, LLC manufacturers a large number of its own brands including, Pro-Plan, Country Squire, Quality Care+, Small Animal, Big Red and Lil’ Red brands. Will we see further recalls from Pro-Pet? Let’s wait and see. Join the Association for Truth in Pet Food! Susan Thixton of Truth About Pet Food and I recently founded the first ever consumer-based stakeholder association for pet food safety. 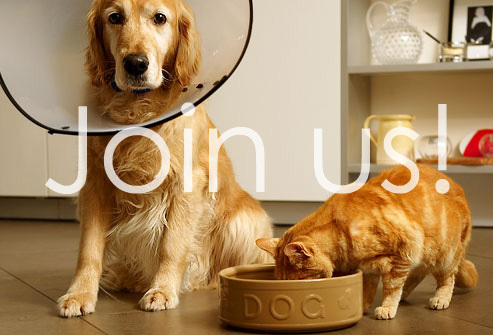 Join us and help us change the future of pet food! To read the complete recall announcement and to find out more, visit www.hy-vee.com. We had an issue with mold as well and one of our babies died after getting ill. 3 sick in total. We haven’t used FreshPet since and no more illness. FreshPet sent two $20.00 coupons for more food and paid the vet bills. Luckily, I did NOT sign the release form. The CEO said something to me about people making up stories to drive the stocks down. Here is a link to the youtube video I put up when I discovered the mold. You’re a smart cookie for not signing the release too. I think it is utterly disgraceful that pet food companies think they can buy consumers off with a coupla lousy coupons. I mean, what are they thinking? Ummm….sure, I want some more of your moldy, toxic, sh*t that probably killed my dog and made the others sick…NOT!